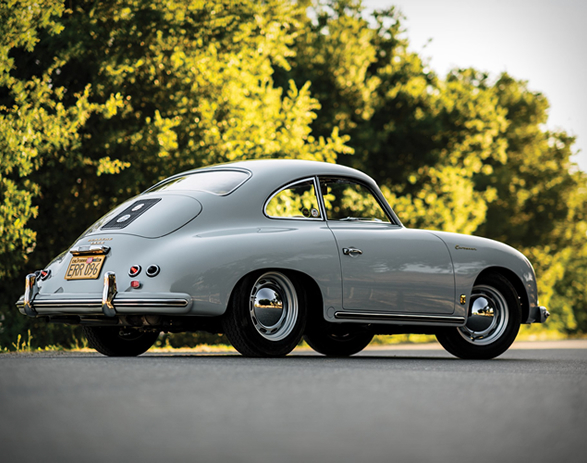 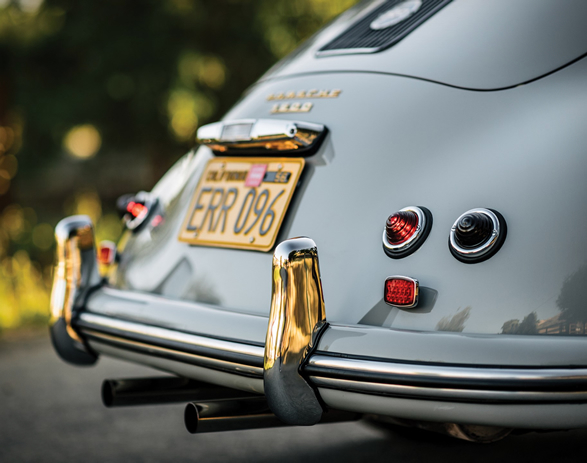 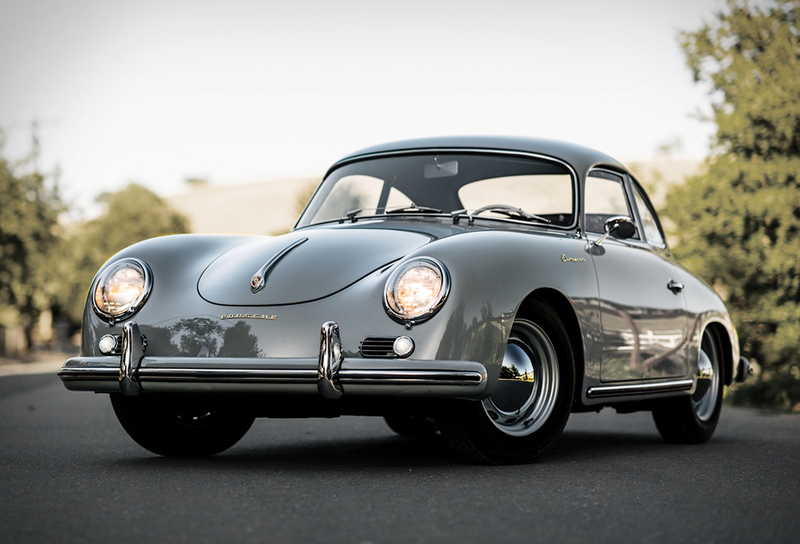 Auction house RM Sothebys will let you bid for the chance to own a 1956 Porsche 356A European Coupe, a rare beauty with super rare European badging (one of a handful of cars produced). 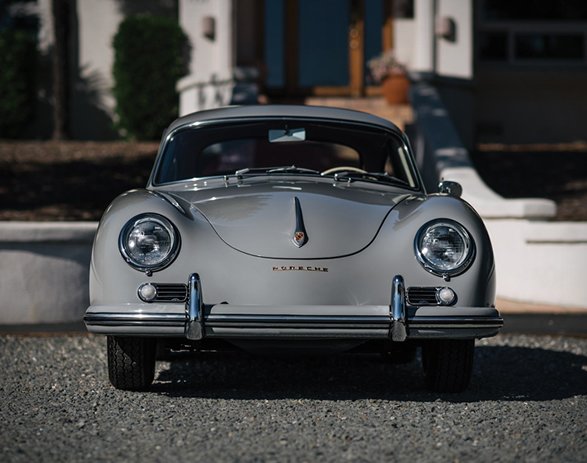 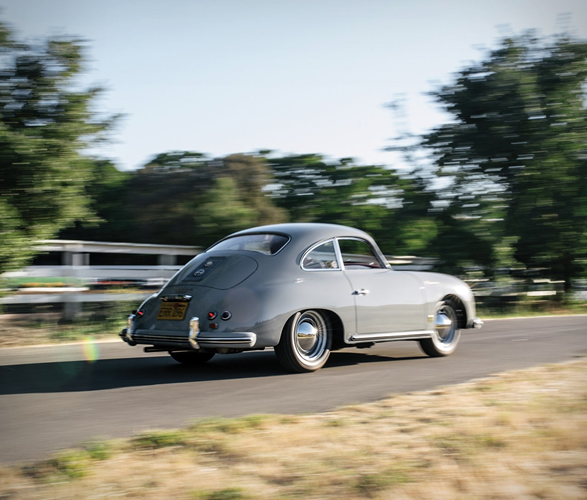 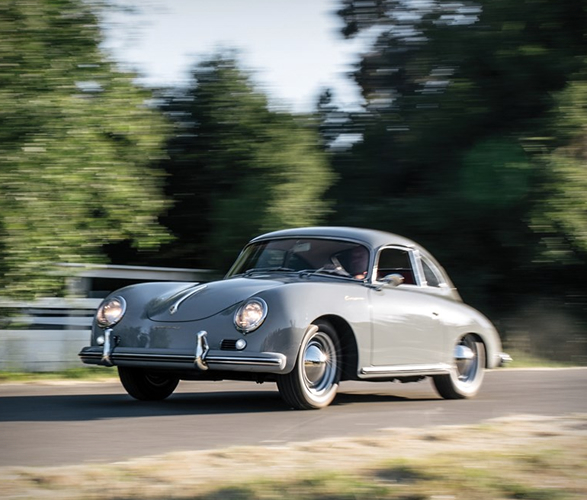 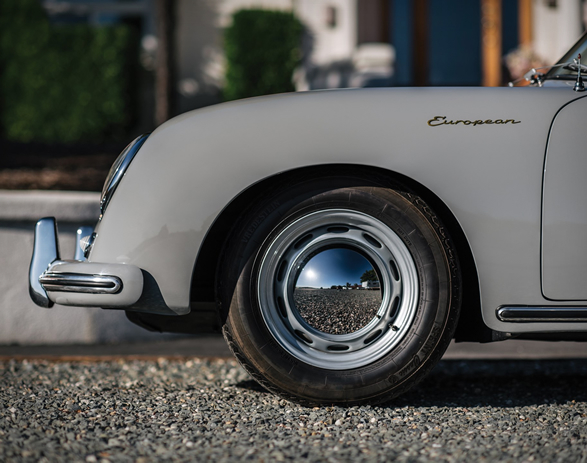 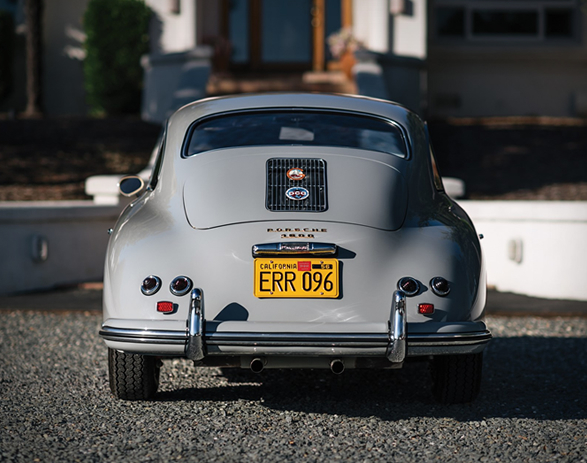 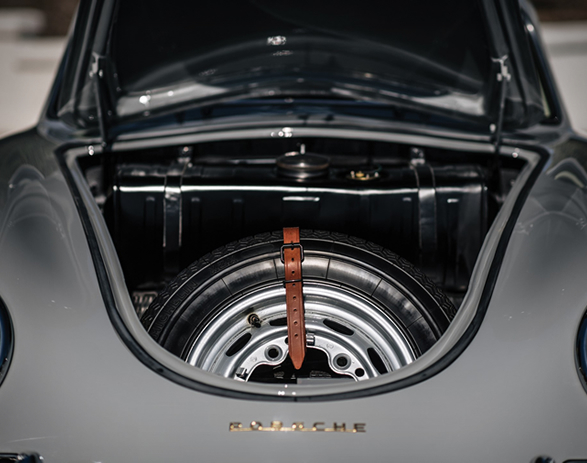 Fastidiously restored by marque specialists in stunning fashion grey, this exceptional 356 A coupe was stripped to its essentials, and carefully built with a correct, show-quality restoration. 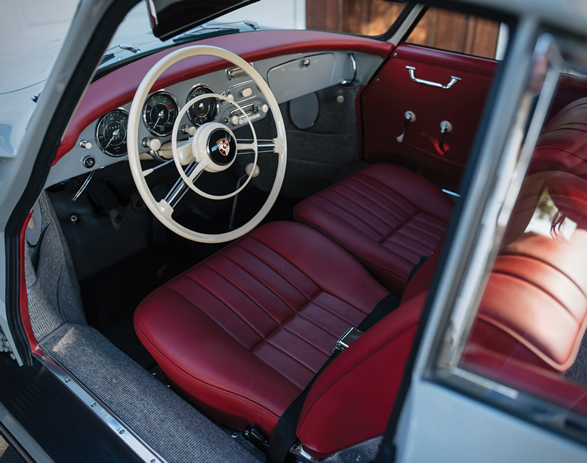 The interior is finished in a combination of red leatherette and beige cloth, which matches the materials listed on the Porsche Certificate of Authenticity. 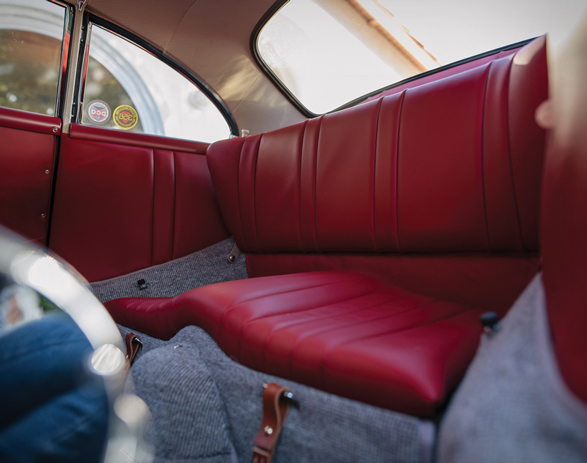 All gauges have been rebuilt and recalibrated, and the correct radio has been refurbished as well. 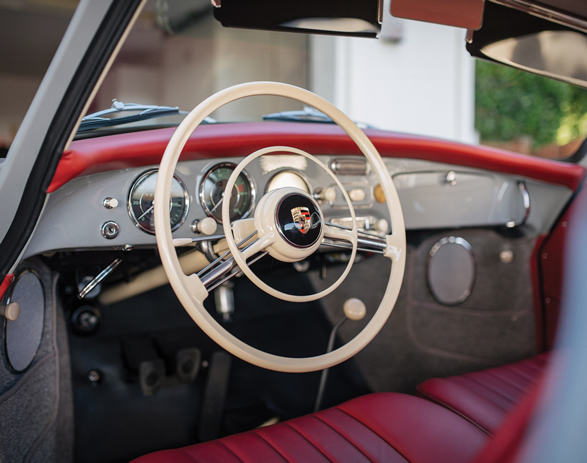 The original glass was thoughtfully detailed and reinstalled during the restoration, adding originality and character. 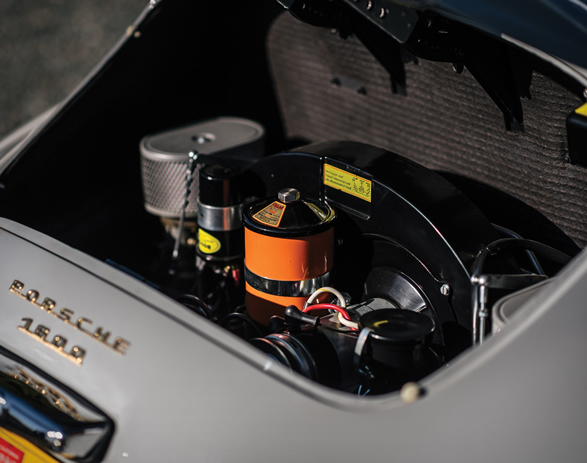 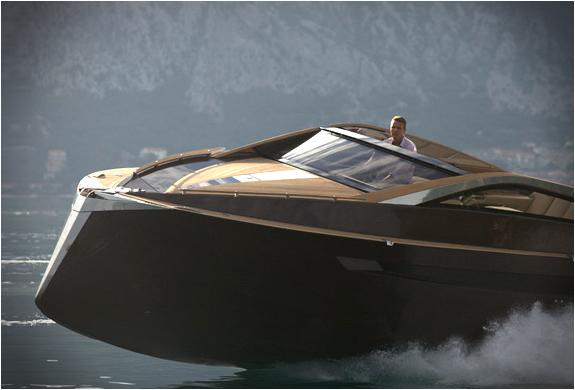 Attention to detail is present in every aspect of the restoration.